Do you want to sort what top fundamental themes can influence the markets over the week ahead or learn how to combine fundamentals with your technical analysis? Sign up for the weekly fundamental trading webinar Monday or other regular trading events on theDailyFX Webinar Calendar. There are plenty of 'purists' in the markets. There are those that vow to only use technical analysis where evaluating trade opportunities and those that feel fundamentals it the only 'true' measure of value. There is no room for such demagoguery when are capital is at work and we are dealing with probabilities. It is best to be pragmatic and use as unique of resources as possible when attempted to isolate genuine opportunities. Experience has showed me many times in the past that a laundry list of technical indicators and patterns can only refine our trade list so far. Ultimately, most technical analysis techniques are a combination of price and time - and the bulk of these measures are remarkably similar. There is only so much refinement you can establish with so similar techniques. The same ultimate outcome of obfuscation is present in a fundamental-only approach. There is a primary concern and many various ancillary measures. To include those secondary influences is either indulgent or otherwise unnecessarily limiting. So what can we do to productively refine the list of options to the best opportunities? 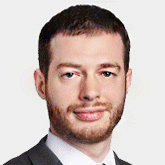 Combining the frequently disparate and always unique technical and fundamental approaches can render genuinely distinct trade setups. When evaluating the fundamental motivations for the Japanese Yen, the currency is thankfully rather straightforward. For decades, Japan has maintained an extremely low benchmark interest rate owing to persistently low inflation or outright deflation. That has positioned the currency as a reliable 'funding' currency in the carry trade throughout multiple financial cycles. This does not positioned the Yen as a safe haven in the traditional terms, but it benefits from such capital flight as the first stage of seeking stability is first removing excess exposure. There is some minor caveat to this role in that speculative trends have grown painfully distorted following years of stimulus and with so many other policy authorities lowering their respective benchmark rates to zero or near-zero. The Yen has maintained its status amid these deflated currencies owing to its history; but that being said, there hasn't been much of a carry buildup owing to the state of yields globally. As for the Bank of Japan rate decision or the Japanese trade balance report due ahead, there is little potential for this event risk to register outside of extreme outcomes. On the other side of the coin, the technical picture of the Yen yields different absolute standings depending on the pair we reference. However, there are many key pairs that have closed in on noteworthy technical resistance. Looking at an equally-weighted Yen index, we see that common proximity reflected on the chart. This could turn into a point to break through or reverse from depending on the motivation, but it is a level to follow. In FX trading, there are always two components to a trade. We have evaluated the Yen's standings, but to further hone in on better opportunities we need to assess which counterparts are better suited to leverage the potential. In the event that we find a clear and motivated risk aversion drive over the coming week, the options are numerous. Perhaps the only pairs in such a scenario which would require closer scrutiny would be USDJPY and CHFJPY owing to the Dollar and Swiss Franc sharing the role of safe haven currencies. The AUDJPY and NZDJPY pairings would be best tuned to such motivation, but they are already trading at significant discount so that should be taken into account for anticipated follow through. 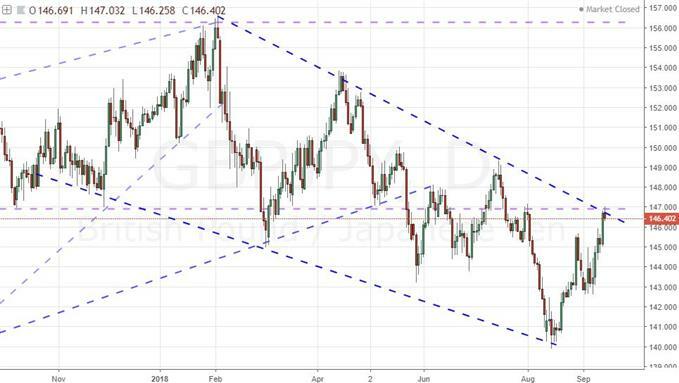 In purely technical terms, there are particularly appealing patterns from GBPJPY and CADJPY. However, both pairs have distinct fundamental issues that they will have to account for: international trade negotiations that could find breakthrough or fall apart with little warning. 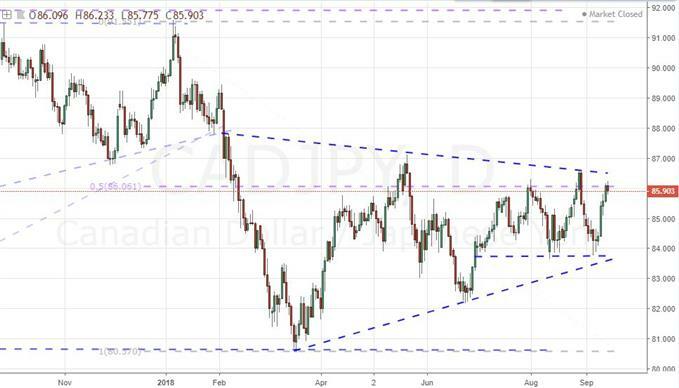 The NAFTA negotiation is more likely to find a sudden turn, so CADJPY should be considered risky. 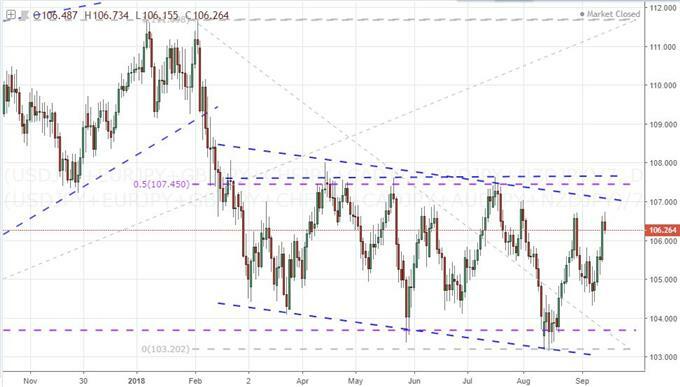 However, a breakthrough can make for one of the few appealing bullish opportunities for the Yen crosses. Alternatively, Brexit is unlikely to find sudden clarity for a favorable outcome, but it can continue to grind down confidence. This weighs out to be a better bearish option if the fundamental conditions align. We focus on the Yen pairs in this weekend Quick Take video.